The Political class in the country have been cautioned against any act capable of truncating the peaceful co-existence of the Nigerians. Sheikh Ahmad said politicians should always remember that they could only be Political office holders when there are people, therefore they should address the needs of the people. Sheikh Ahmad said the prospects of Islam has already been manifested in its contributions to the documentation of Yoruba history, communal coexistence with people even before colonialism among others. "Beyond prospect, Islam has come to stay in Yorubaland, for 700 years, we have made monumental achievements. The landmark achievement is there. Muslims have contributed to the Yorubaland, it was the Muslims that first wrote the history of the Yorubaland". MUSWEN President and Deputy President-General (South) Nigeria Supreme Council for Islamic Affairs (NSCIA), Dr. Sakariyau Babalola in his welcome address said that the program would provide opportunity for Muslims in Yorubaland to examine their history, provide unbiased perspectives to the position of Islam in the region. 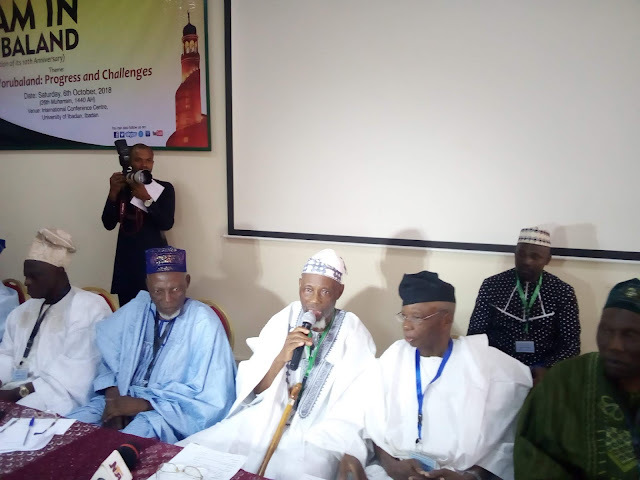 Babalola who doubles as the convener said "Though for geopolitical reason, MUSWEN's scope of authority may seem to be confined to the South West region of Nigeria, the body does carry a moral obligation to serve as the face and voice of all Yoruba Muslims". Also speaking at the event, a Retired Judge at The Hague Prince Bola who was the Chairman of the ocassion recalled the establishment of MUSWEN ten years ago and thanked those who made it happen then. Present at the event were Governor Rauf Aregbesola who was represented by Alhajj Dhikrullah Hassan, Professor Daud Noibi, Professors Muhib Opeloye and Abdulfatah Makinde of Obafemi Awolowo University, Ile Ife, Professor Tajudeen Gbadamosi who is the President of Lagos State Muslim Community people in the academic community and beyond who presented scholarly works among others. 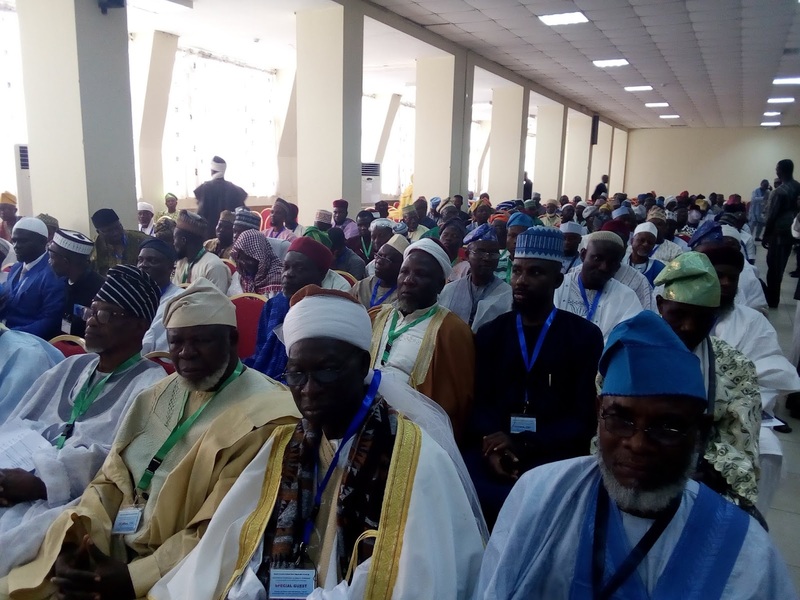 The Muslim Ummah of the Southwest Nigeria (MUSWEN), an umbrella body for all the Muslims in the Southwest of Nigeria, was established ten years ago to foster unity among the muslims in the region. At the end of the programme, MUSWEN resolved that considering the position held by Islam and its monumental contributions in Yorubaland, sstate governments in the region should accord Muslim their deserving constitutional rights. MUSWEN also charged Muslim faithful of voting age to collect their voter's cards and vote for credible candidates in the 2019 elections. The Muslim body also condemned the activities of stakeholders in education who force teachers of Islamic and Arabic Studies to take other courses apart from their core subjects with which they were trained to teach, charging appropriate authorities to address the issue.